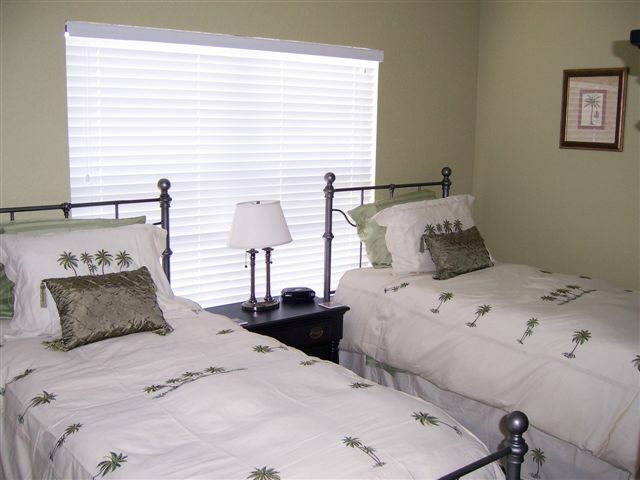 The 2nd upstairs bedroom features 2 wrought iron twin beds. 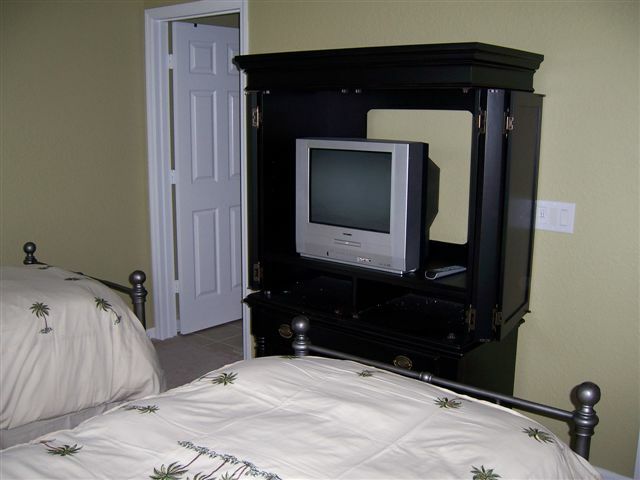 It also features a walkin closet, and a TV cabinet which houses a 20" TV/DVD combination unit with a Nintendo Gamecube and 10 games! It also has its own dedicated private full bathroom. This room and its adjoining bathroom are newly painted in a light "celery" green color.